Three-quarter view of Sandycombe Lodge from the front. Sandycombe Lodge on Sandycombe Road, Twickenham, a small Grade II* listed brick lodge designed by the artist Joseph Mallord William Turner in about 1810, and built by 1813. 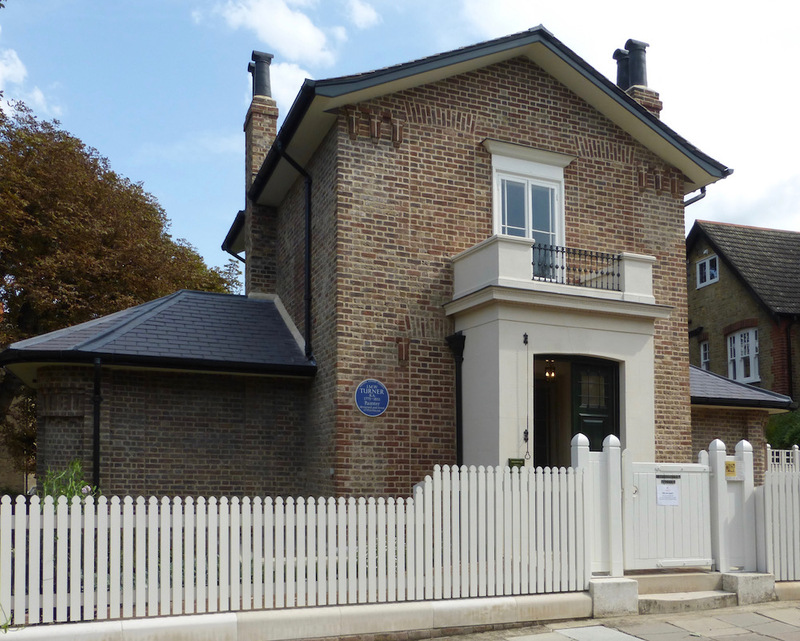 This was when his name first appeared in the Rate Books here ("Turner's House Twickenham"). Front view of the entrance. In 1807, having by now made his reputation as a landscape painter, thirty-two-year old Joseph Mallord William Turner (1775-1851) bought a plot of land for himself in Twickenham, then in the county of Middlesex. There, on sloping land close to the Thames, he designed a small brick lodge for himself and his father, as a retreat from London. According to one of his early biographers, W. M. Wyllie, he only designed the doorway (56); but this must be based on a misunderstanding: it was at his London home, in Queen Anne Street, Marylebone, that he redesigned a front entrance (Hammerton 148). 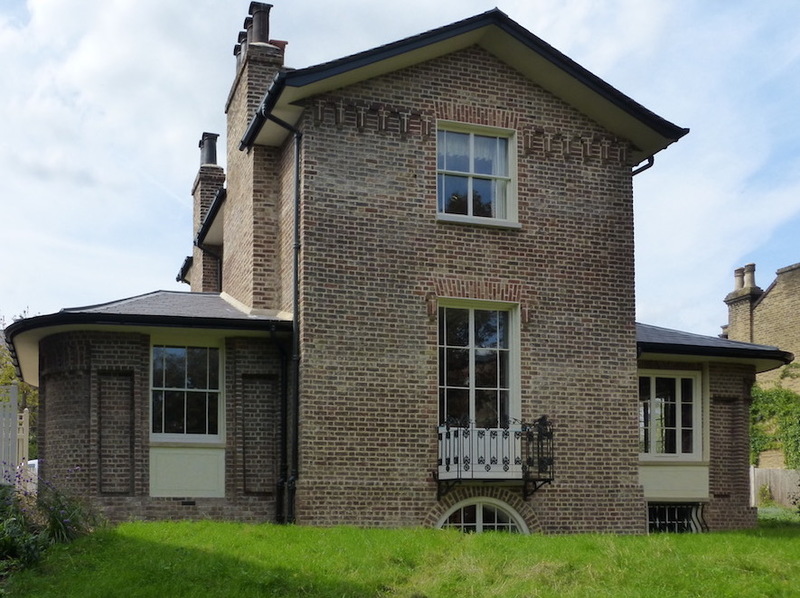 As for the Twickenham house, he had begun to make sketches of the house in about 1810, and it is generally agreed that here (clearly with some inspiration from his friend and angling companion Sir John Soane), he was "fulfilling a long-held wish to be his own architect" ("Turner's House Twickenham"). 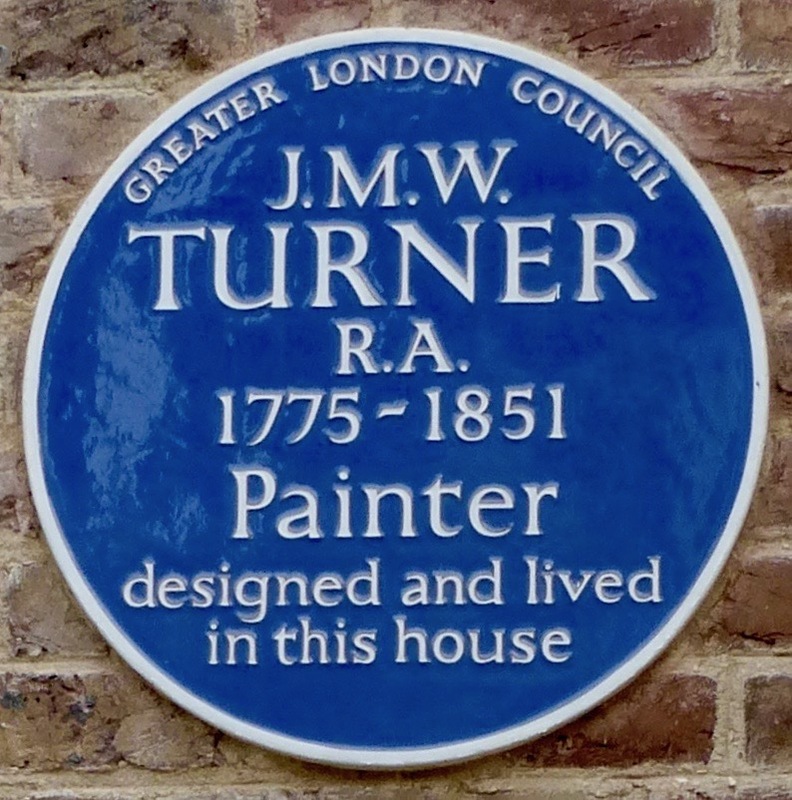 In some respects, the Historic England listing text is outdated now, but it is accurate in describing the house as "[b]uilt for and to the design of J M W Turner." The house was built by a builder called Mr Tayler, and first dubbed Solus Lodge, then Sandycombe Lodge. Turner also bought a little field nearby, as grazing for his pony. He needed the pony to take him around in the trap, for sketching and fishing expeditions. The garden itself was much larger then: according to Wyllie, as well as looking after the house for his son, Turner's father used to work in it, digging (Wyllie 56). It had a fish-pond, and, at the bottom, a summerhouse where Turner could paint. Back view of Sandycombe Lodge, from the garden — which is much smaller now than it was then. 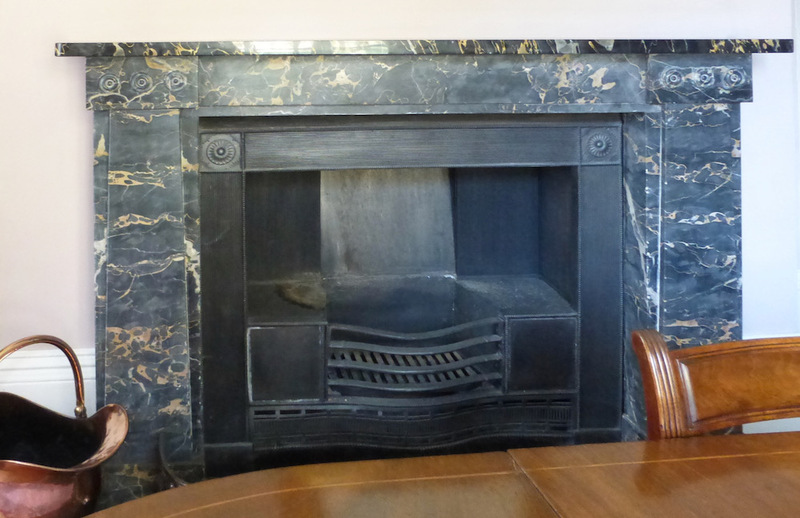 Left: An original fireplace in one of the downstairs rooms. 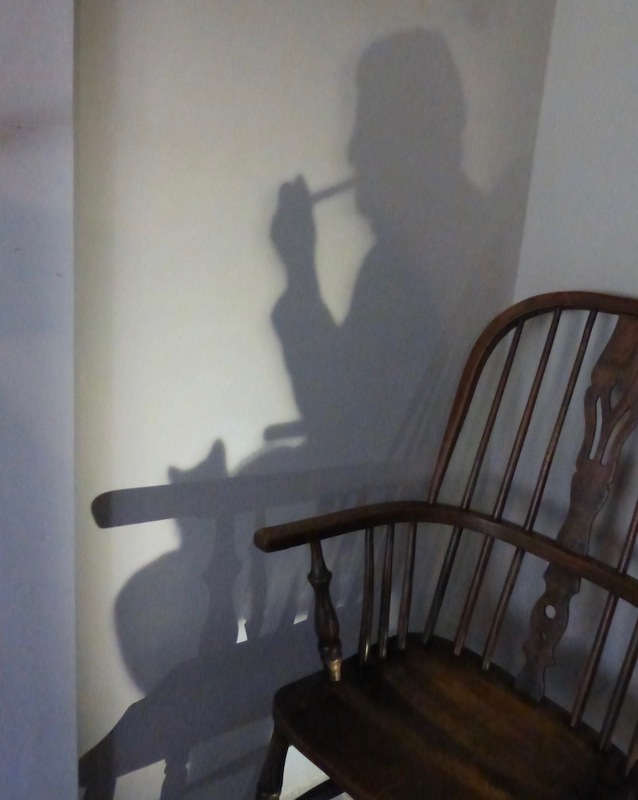 Right: A shadow recreates Turner's father sitting in his chair by the fireplace, with his cat on his lap. Inside, the house was quite simple. It had a kitchen in the basement, or rather semi-basement — the sloping ground meant that it could have a window at the back. 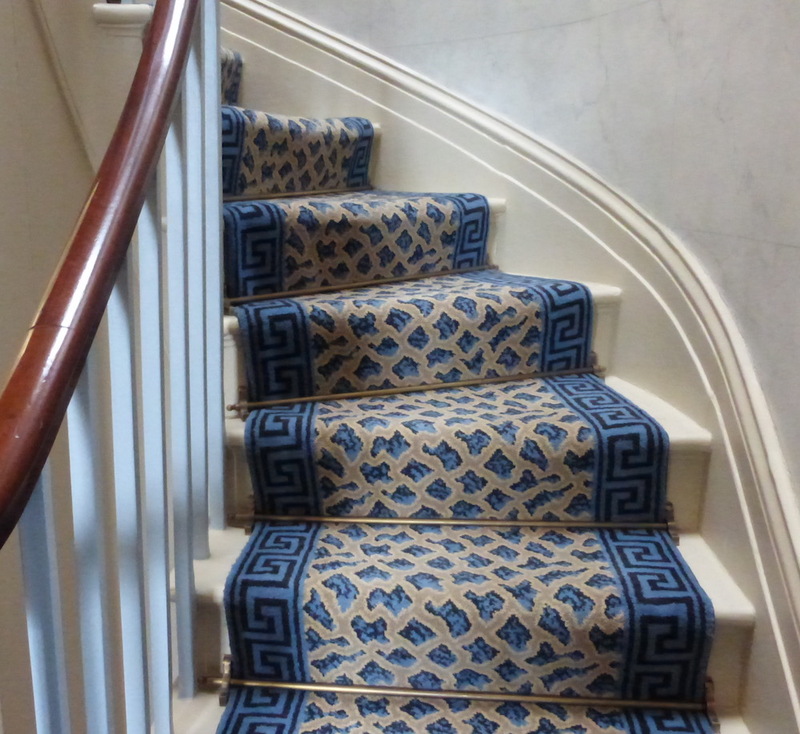 Then, on the ground floor, an entrance hall and passage gave access to a parlour, dining room and sitting room, as well as an attractive spiral staircase leading up to two bedrooms, one of them quite small. There was no studio inside the house. Turner stayed here "intermittently until the 1820s" (Powell 29), finally selling the lodge in 1826. 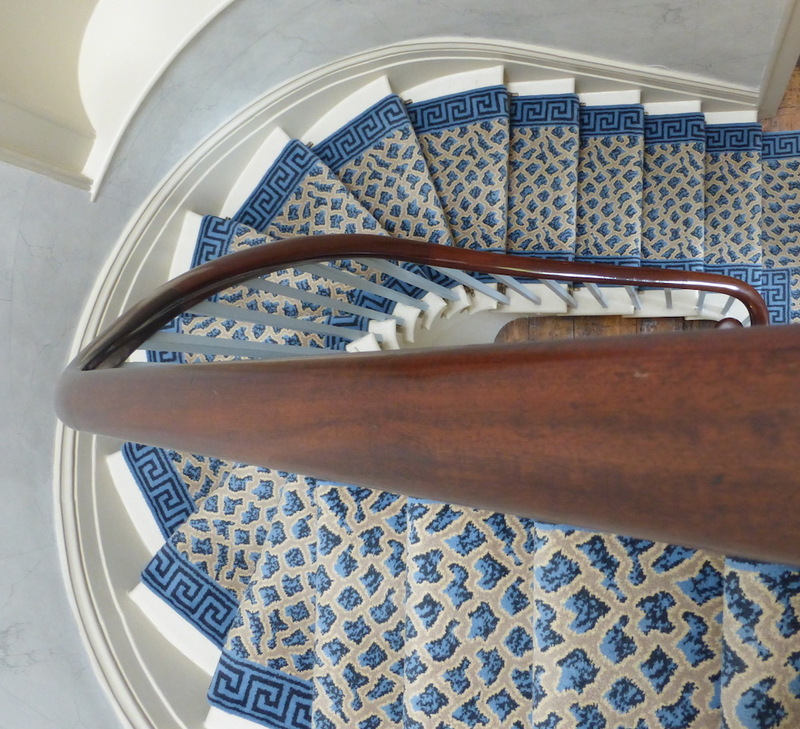 Left two: Views of the spiral staircase, from below and then from above. 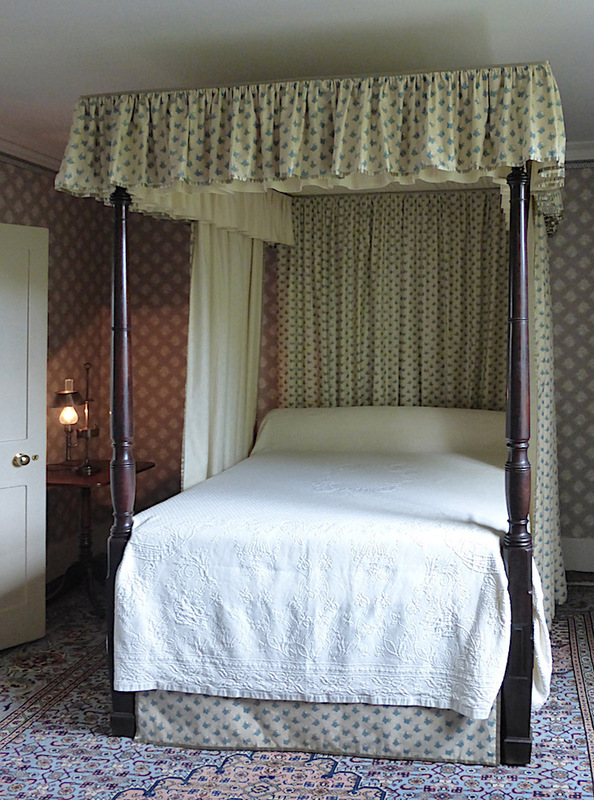 Right: A four-poster bed dominating the main bedroom. Turner's time at Sandycombe Lodge had a limited impact on his work. Nevertheless, this was Turner's only substantial foray into architecture, and its recent restoration has made it a unique and fascinating addition to his legacy, as well as offering new insights into this period of his life. It has been redecorated in a suitable style for the period, and, happily, is now open to the public (see offsite here for details). Hammerton, Philip Gilbert. The Life of J. M. W. Turner, R. A.; with 9 illus. London: Seeley, Jackson, & Halliday, 1879. Internet Archive. Contributed by Cornell University Library. Web. 16 September 2018. Moyle, Franny. Turner: The Extraordinary Life and Momentous Times of J. M. W. Turner. London: Penguin, 2016. Powell, Cecilia. Turner (Pitkin Guide). Andover, Hamps. : Jerrold, 2003. 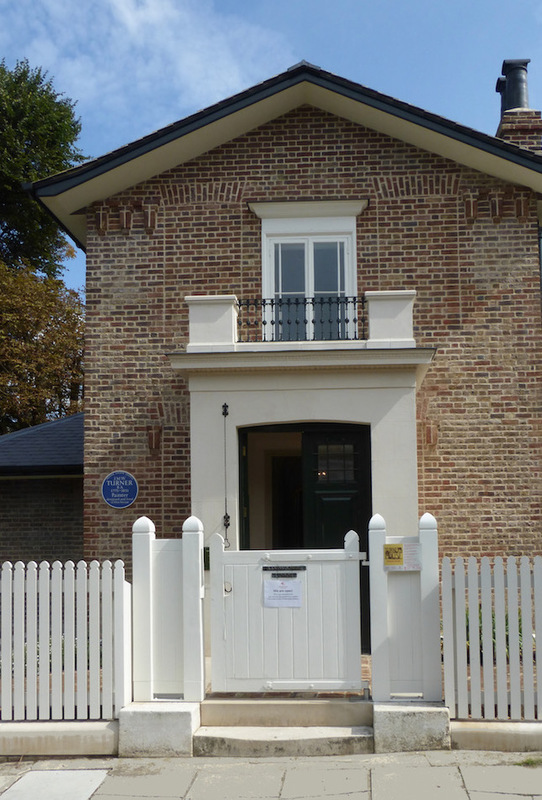 "Turner's House, Twickenham." Leaflet available from the house. Wyllie, W. M. J. M. W. Turner. London: George Bell & Sons, 1905. Internet Archive. Contributed by the Getty Research Institute. Web. 16 September 2018.